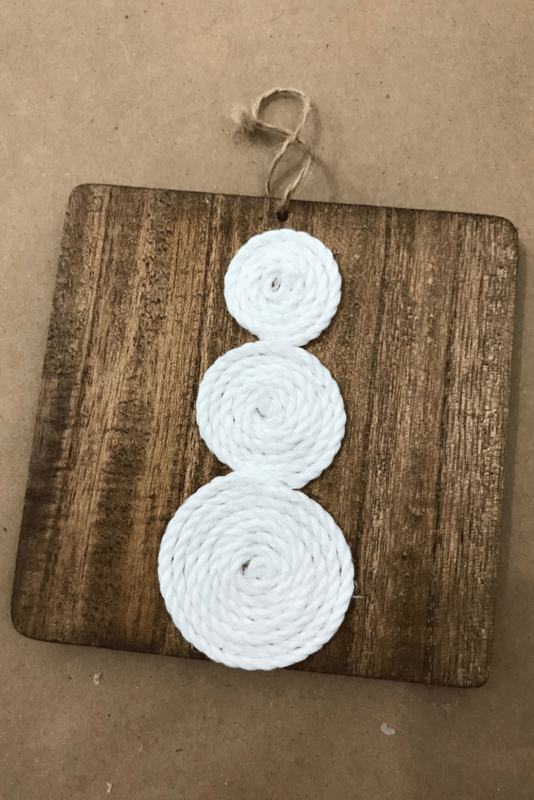 So for today’s theme, we are supposed to share snowman crafts….. I will be honest, I am not and have never been a fan of snowman decor for the holidays… It’s just not my thang! However, I felt that there have to be other awesome people in this very same predicament so I wanted to see what I could make that would make me like something… anything…. snowman related… and I think I made a little something that worked. 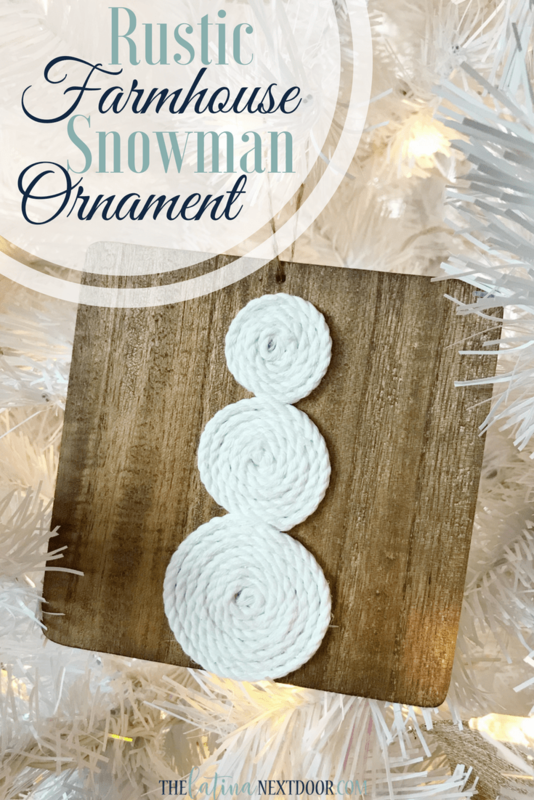 Going along with my rustic farmhouse theme from my Treetopia Christmas tree and my DIY ornaments I thought I would try to do a snowman one as well. This is probably the MOST EASIEST ornament EVER! LOL! Create 3 different circles – small, medium and large in size. Then hot glue them onto your ornament. And that’s basically it! 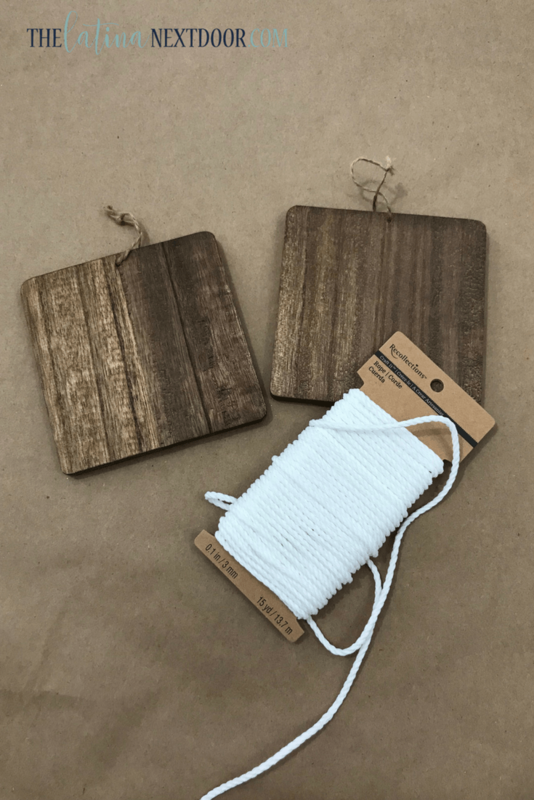 It’s rustic, minimal, could even be considered abstract, BUT I think the fact that it’s so simple is what I like the most… plus it goes with any farmhouse themed Christmas and I’m good with that! I hope you liked this take on snowman decor for the holidays! 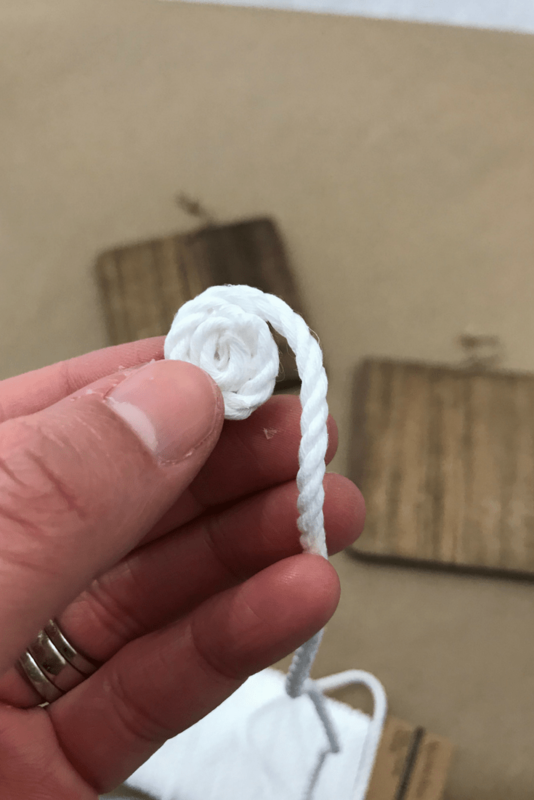 Have you made anything with rope? I want to try more things now! Very cute – I love the farmhouse style and yes, this fits perfectly. I agree – the minimalist-ness of it is what makes it so charming. Thank you! I was hoping someone else would see my “vision” LOL! Thank you! I went to see yours and I love your adorable little snowman!! I was trying to comment but didn’t see the option unless I missed it somewhere! I have disqus for my commenting system, it should be right below everything. Okay I will check it out again and see if I can find it. Thank you so much Ivory! I hope we actually get enough snow this year to even be able to make one outside with the kids. Fingers crossed! Totally my style, love him and putting this on my to-do list!